Consider fences. Most of the time they’re damn dull. They do their job without making a fuss or a fashion statement. At the Portland Orbit, we’re interested in any stabs at creativity we can feast our eyes on. You might think there isn’t much people can do with fences but I here’s proof to the contrary. 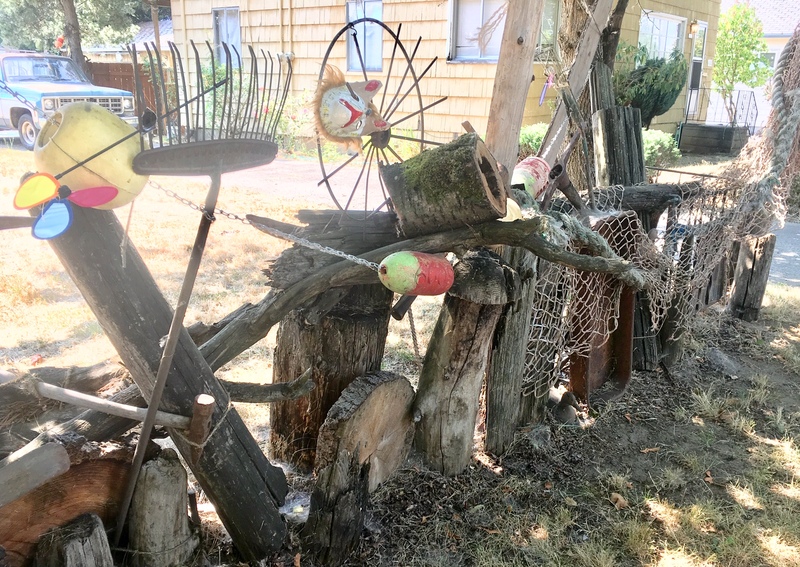 Fences can take on elements of yard decor that make them unique. 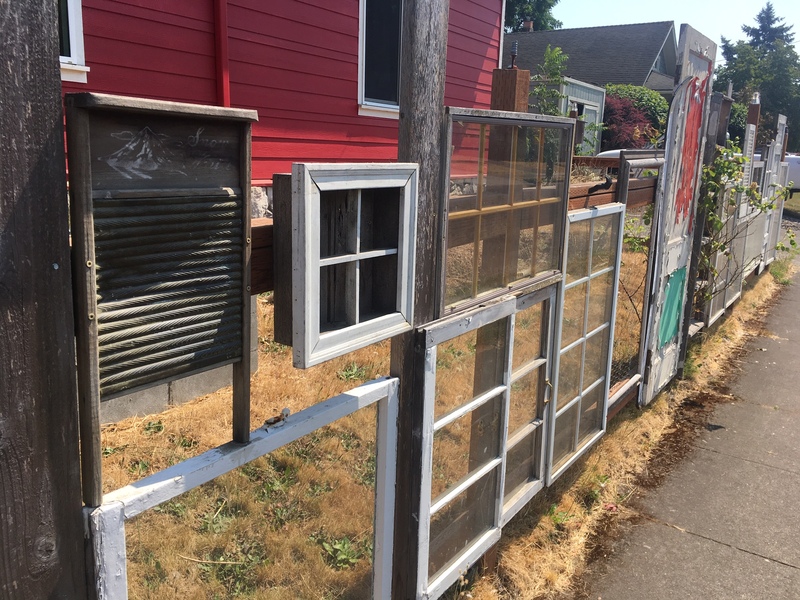 There might be windows added or fences made from scrap doors and window frames. A structure can take on the look of a mixed media piece of art when elements of whatever might be lying around are mixed in. These days people have realized that fences can straddle the line between practically and art. This homemade barrier had us stopping dead in our tire tracks so I could jump out of the car and take a picture. It encompasses everything I love. Homegrown ingenuity for fencing from an unlikely source which includes mannequin materials that launched some old familiar and feverish feelings. 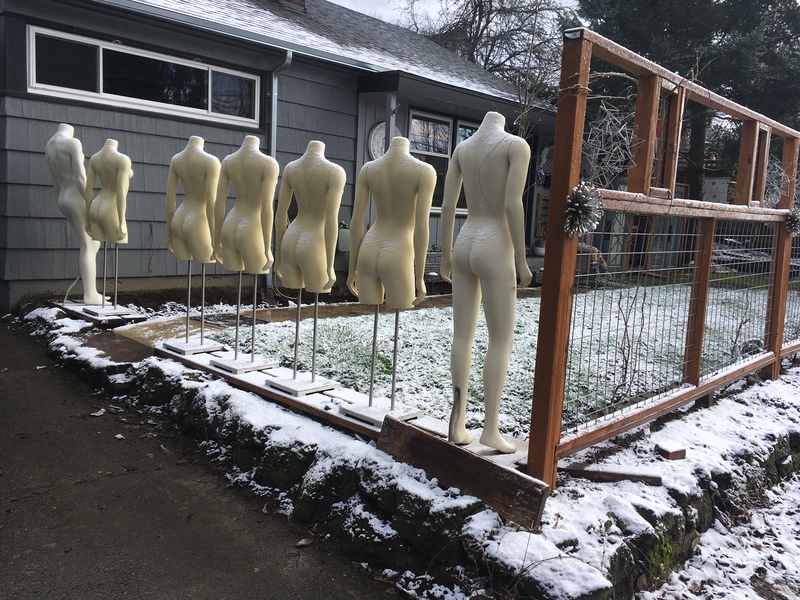 This yard in SW near Multnomah Village is also directly across the street from a Christian school so one could only imagine the backstory. This is form that follows function as fencing goes. 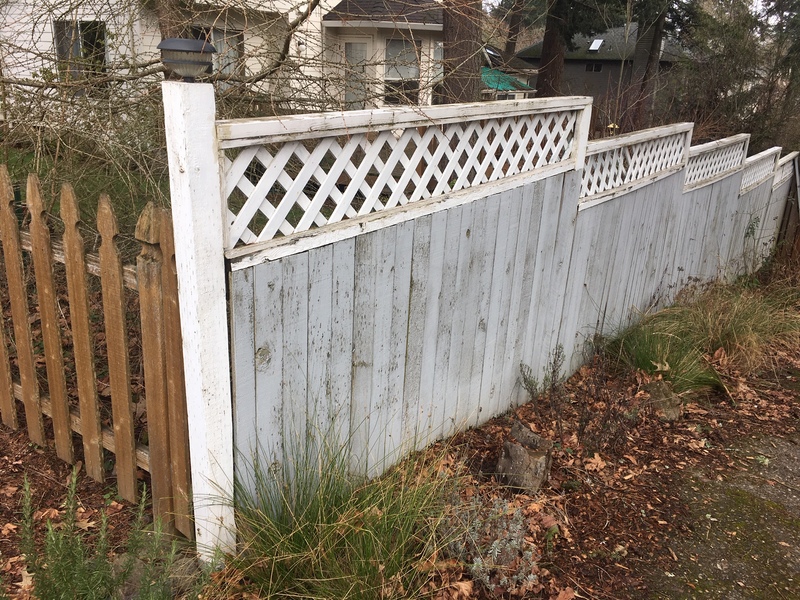 It inspired me to think of other examples of interesting, yet less exotic styles of fencing, that I needed to bring to the public’s attention. 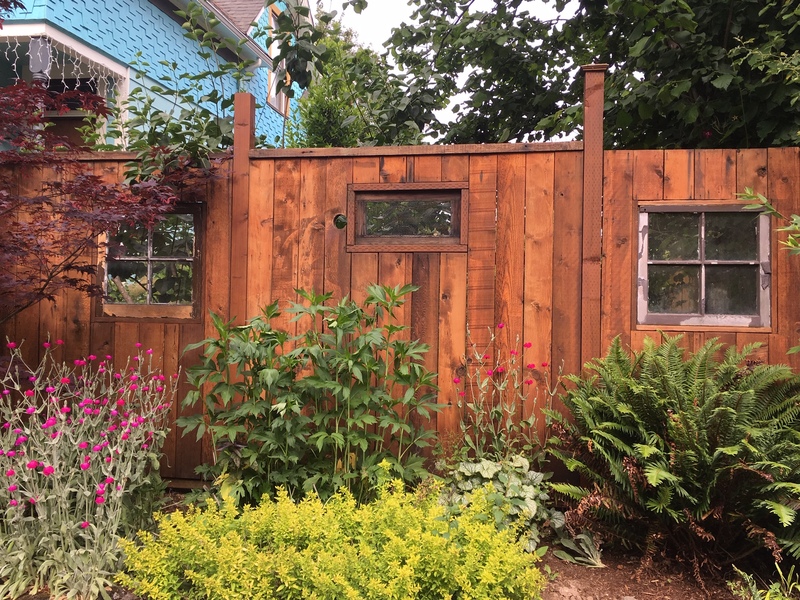 In the University Park neighborhood off of Willamette Boulevard, I spotted a fence that took elements of a nautical theme combined with a kitchen sink approach to fence design. The water decor works well given that the fence is in front of a house that backs up to the banks of the Willamette river. It weaves netting and ropes through trees and logs. A closer look revealed decorative items that brought color and a touch of whimsy to this kind of yard marker. Who knew how artsy an old rake could look when grouped with old logs, nautical floats and a random cat mask? 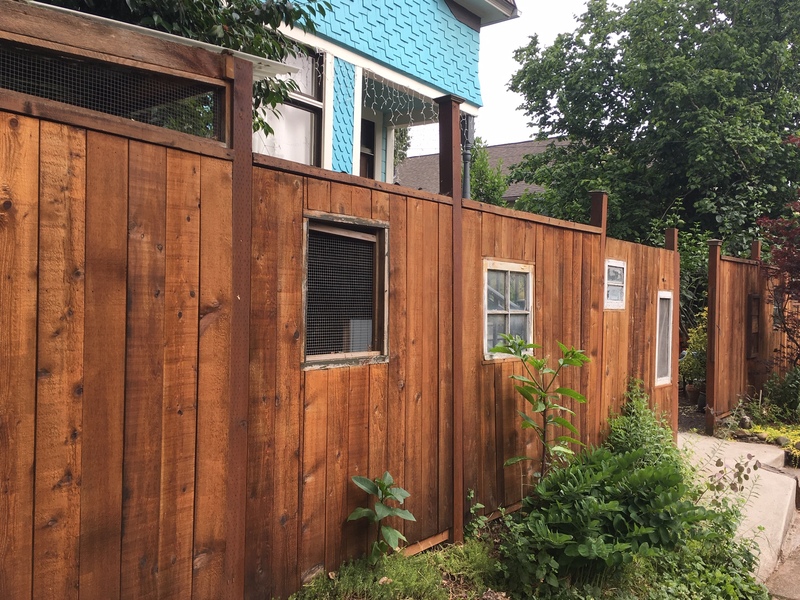 First I would consider why anyone would want a window in their fence. Fences are all about privacy. Right? But at the Portland Orbit any time anyone asks why? The response is a guaranteed why not. 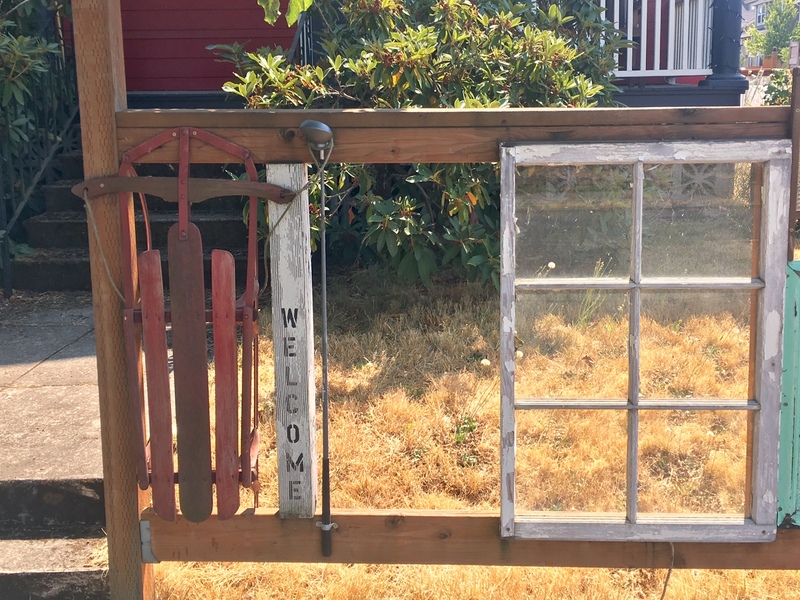 These windows offer a dramatic decorative element that may also serve a function if anyone ever needs to see who might be creeping along the fence. This is something that any fence builder should contemplate. A wall of wood doesn’t always do much good. I mean all that grain and stain really could stand to be broken up by a few windows. In the St. Johns neighborhood this house had an approach to fencing that seized my imagination. Windows and doors along with elements like skis and a sled have been utilized to create this fence. A neighbor, out walking his dog, described it as looking “hooterville” when I was getting some photos. He did counter the thought by adding “to each his own,” as he and his dog continued off on their walk. I have to say I might feel different if I had to look at this everyday. My only problem would be that I wouldn’t be able to stop looking at it. I’d always be finding new objects that I may have missed. 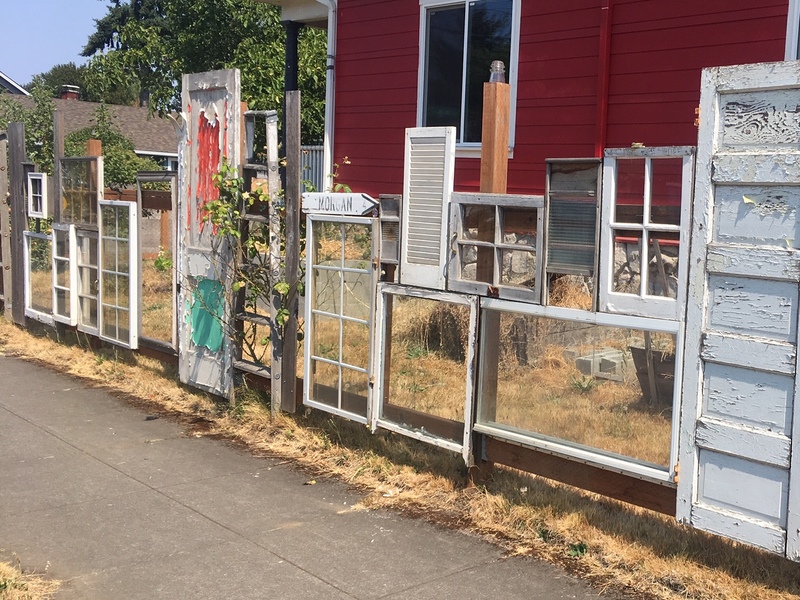 These kind of things keep the design fresh and interesting especially when it stands out in of a crowd of generic neighborhood fences.